I was having a gander at my go-to football websites during a break this week and stumbled across a fascinating article about a football pitch in Brazil that has floodlights powered by the activity of players’ feet. Football and tech – a heady mix. For me anyway. 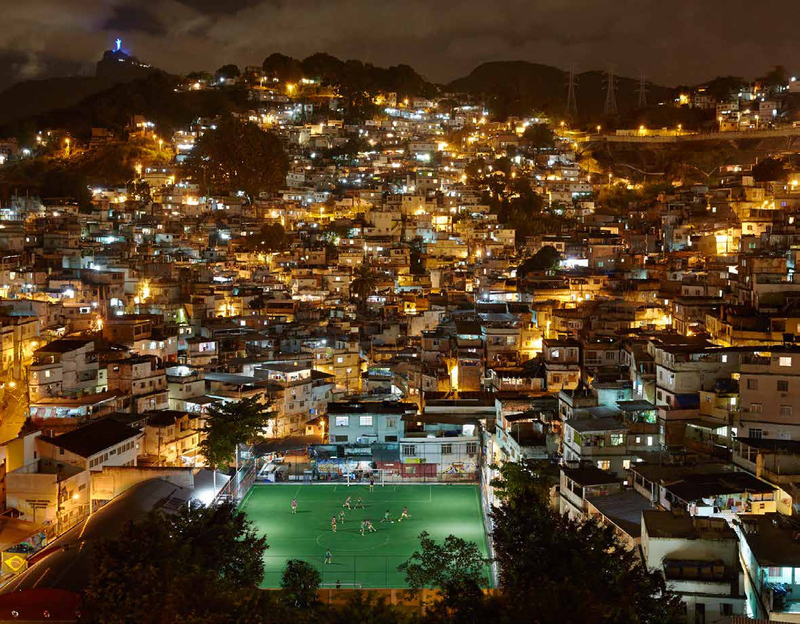 This amazing project (which was funded by Shell and launched by Pelé) uses game changing technology to power the lights of a community pitch in a rundown favela in Rio de Janeiro. Underneath the playing surface there are 200 energy-harvesting kinetic tiles that power the lights by feeding off the footsteps of the players. Which means the local kids can play for free at night by simply playing the game they love. Amazing! This incredible people-powered technology concept was developed by Pavegen who are based in London. They are a self-proclaimed “clean-tech” company who design and manufacture flooring technology that converts wasted kinetic energy from footsteps into renewable electricity. The project in Brazil was their largest to date, but they have taken the concept across the globe – from lighting up Christmas trees in Sydney to harvesting energy from marathon runners in Chile. So imagine that, a smart city powered by the footsteps of its residents – on the streets and inside buildings. Essentially your walk to and from work or to the shops in the future could power the lights on the streets you tread day in, day out. So you, me, us, we are literally mobile power stations that create clean off-grid power with every step. Think of high footfall places like airports and shopping malls – the lights or display ads could all be powered by its visitors. It’s a simple concept and an exciting technological innovation. But don’t just take my word for it as Pavegen haven’t just caught my attention – there’s a certain Mr Stephen Hawking who has taken more than a passing interest in the potential of this technology. Here’s what he had to say on the matter, “Harvesting electricity from human activity is the ultimate renewable energy”. Watch his two minute video ‘Brave New World’ to learn more.